Bengaluru FC sealed qualification to the final phase of the Hero U18 Youth League with a comfortable 3-0 win over Ozone FC in their final zonal phase game at the Bangalore Football Stadium, in Bengaluru on Sunday. A brace from striker Akashdeep Singh (51’, 68’) and a late penalty kick conversion from midfielder Lalrintluanga Chawnglut (90’) handed the Blue Colts their seventh win of the campaign. The result took their tally to 21 points as they qualified for the final phase of the competition as Karnataka-Andhra zone toppers. FC Mangalore who finished second with 16 points will go into the qualifying phase. After an end-to-end game in the first half, it was Bengaluru who broke the deadlock in the 51st minute when Akashdeep’s close-range header from Robin Yadav’s freekick from the right found the back of the net. With the goal giving Bengaluru FC more confidence going forward, Akashdeep Singh doubled his and the Blue Colts’ tally in the 68th minute when he latched onto playmaker Lalrintluanga Chawnglut’s through ball on a counter attack and rounded off Ozone ’keeper Jeevan Kumar to slot home a left-footer, his 11th of the campaign. 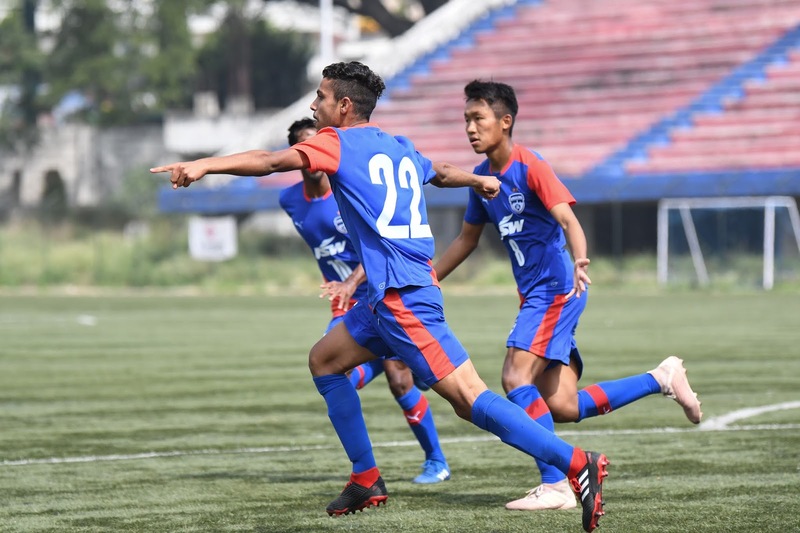 Bengaluru would have another goal late on as Lalrintluanga made it 3-0 with a calm penalty kick conversion in the 90th minute after Rahul Rajan had been fouled in the rival box by Ozone skipper Rohmingthanga.